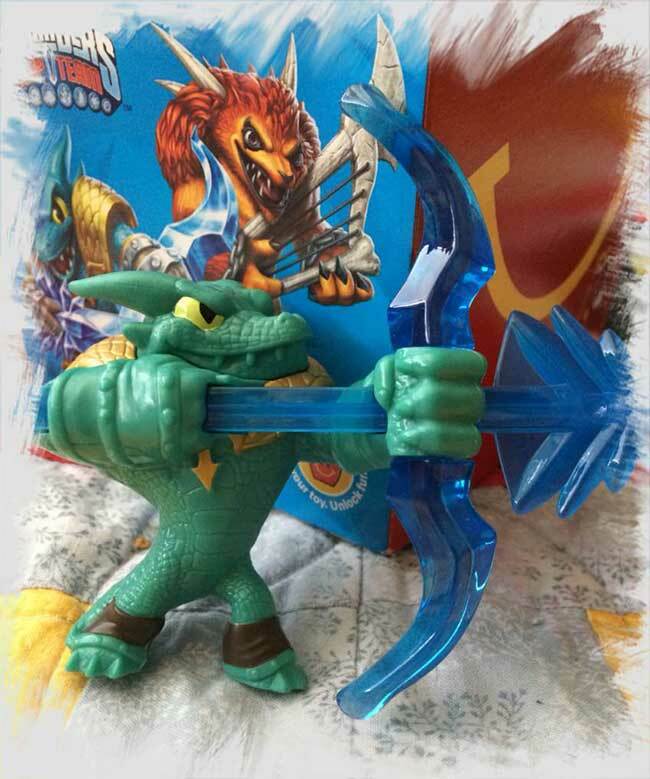 May 22, 2015 - The boy sweet-talked his grandparents into a few trips to Wendy's and McDonald's recently, and scored a few packs of Smart Links and a Skylanders Snap Shot toy. He is saving the Smart Links for when he finds his other Smart Links from past years, so that he can build larger things with them. - McDonald's has a joint promo of Littlest Pet Shop and Skylanders in their Happy Meals. 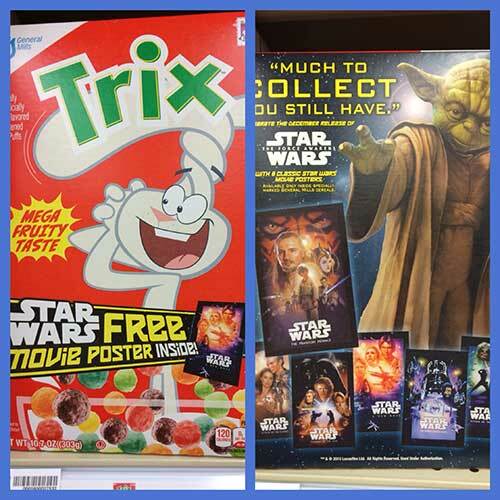 The next promotion shown is a joint promo of NERF and NERF Rebelle. March 15, 2015 - February flew by with no trips to fast food. Good for our health, bad for our collections. - McDonald's has a joint promo of HotWheels and Barbie in their Happy Meals. The next promotion shown is the animated movie Home. The McDonald's McPlay app now has free ebooks in it as well as a game. The ebooks are also available on their web site. - The Chick-fil-A site shows 5 different Pocket Doodles activity books as the goodies in their Kid's Meals. The under 3 toy is a board book. - The Wendy's site is featuring mystery toys in their kids meals, with Annie coming soon. The under 3 toy is a board book based on Yo Gabba Gabba. 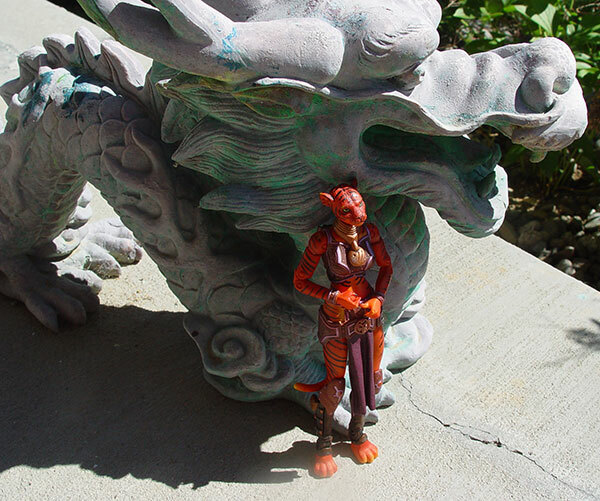 February 2015 - We have been selling more Raavia action figures than usual lately, due to the Four Horsemen's latest Kickstarter project, so I wanted to bring the link back to the front page to make them easier for you to find. Unfortunately, we are SOLD OUT of Shield of Draumm (Hippo) action figures and the Red Minotaur action figures. February 20, 2015 - We made one trip to McDonald's last month, hoping to pick up a few of the Sweethearts plush toys, but ended up with a Pete the Cat book instead. The book came with cardboard sunglasses which were quickly lost. 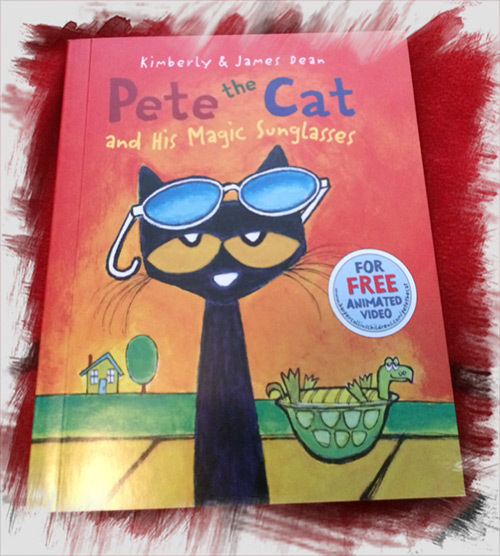 The callout on the front of the book leads to a Pete the Cat page on the Harper Collins site - it has an animated version of the book and several activities. - McDonald's has SpongeBob Movie straw topper toys in their Happy Meals. The next promotion shown is a joint promo of HotWheels and Barbie. January 16, 2015 - The boy made a single trip to McDonald's last month. He scored a Spy Gear toy and then asked that we get him a set from eBay. When I agreed, he also requested a set of Penguins toys, because he had been paying attention to the commercials. 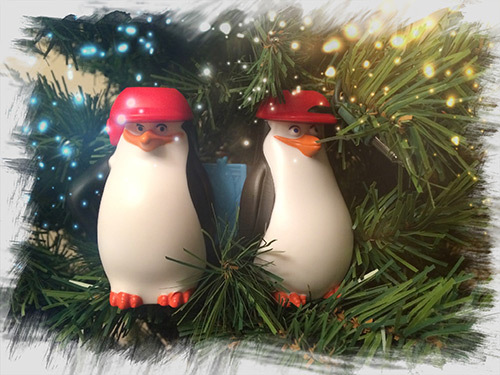 It turns out that the Penguins are really nice toys - they are a periscope, binoculars, a wind-up toy, a water squirter, one that shoots a projectile, and one that launches a fish with a hidden message inside. - McDonald's has books in their Happy Meals. The next promotion shown is a joint promo of Teenage Mutant Ninja Turtles (spinning tops) and Sweethearts plush message hearts. December 19, 2014 - It's been a crazy month, so we made no fast food visits at all this past month. 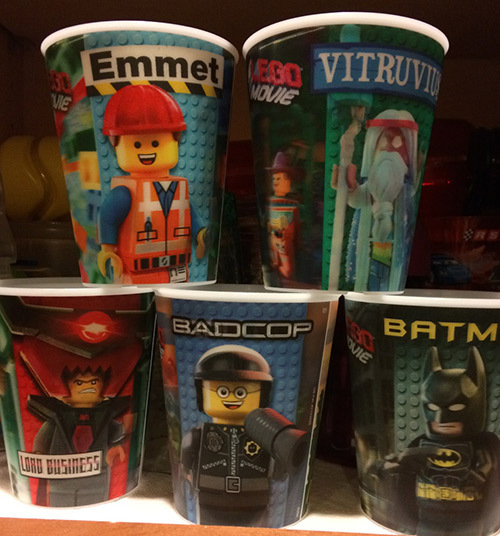 Looking back over the past year, the clear choice for our household's favorite fast food premium was The LEGO Movie cup collection from McDonald's. We ended up with a whole set and a few extras, and the cups have really gotten a lot of use. - McDonald's has Spy Gear and Flutterbye toys in their Happy Meals. The next promotion shown appears to be books, including Pete the Cat. Our boy loves the Spy Gear toys, so I think an eBay purchase is in my near future. December 17, 2014 - CustomCon 38 is now online over at ActionFigurePics.com! Take a look back at the previous CustomCon events. 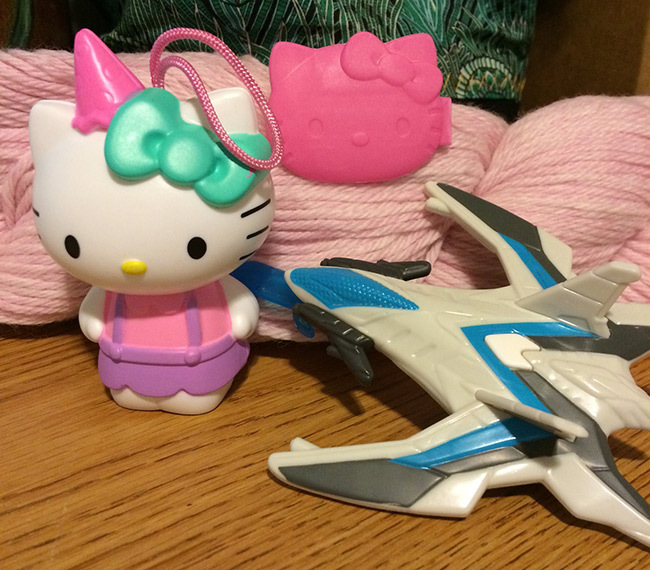 missile launcher and I picked up a Hello Kitty toy that opens to reveal a hair barrette you can wear. - McDonald's has Max Steel and Hello Kitty toys in their Happy Meals. The next promotion shown is Penguins of Madagascar. 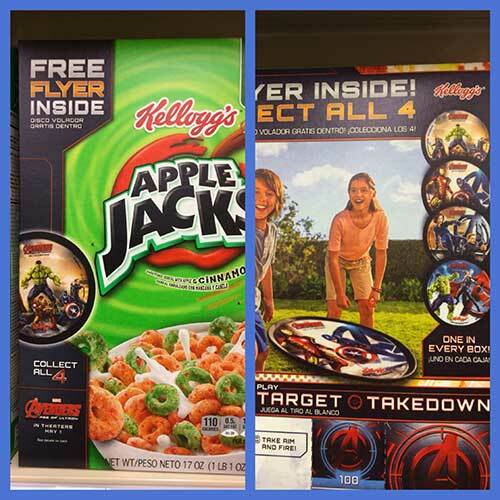 - Sonic has Batman toys that they are promoting in their Wacky Pack meals. October 24, 2014 - The boy made a single trip to McDonald's this past month and scored a trick-or-treat bucket from The Book of Life. The buckets are similar to the ones from 2013, with a themed handle and stickers for customizing the bucket. 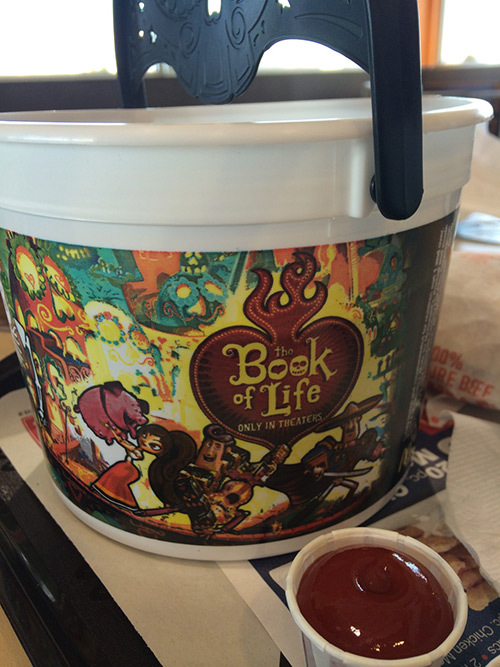 - McDonald's has two The Book of Life buckets in their Happy Meals. Or to be more accurate, the Happy Meals come in the buckets. Hee. The next promotion shown is Max Steel and Hello Kitty.